The Evelyn necklace is both modern yet classic and delicate. 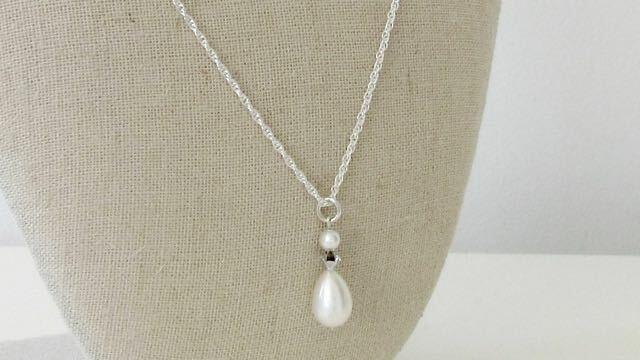 A single ivory freshwater pearl and silver crystal are all that is needed to make this a very special piece to wear time and time again. 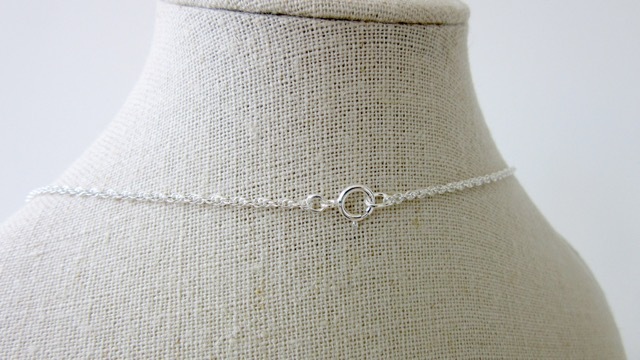 The pendant is hung on a sterling silver 18 inch chain. Please note all freshwater pearls are a little different. 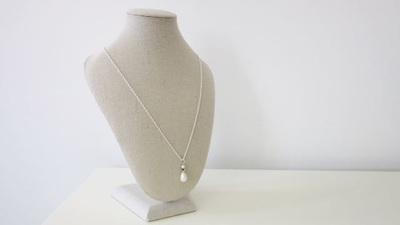 I will always try and match necklace to earrings when both items are purchased. 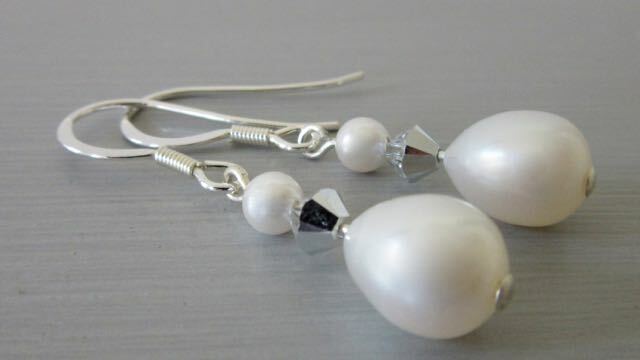 These freshwater pearl earrings are on silver sterling ear hooks, with a silver crystal and a small white pearl. These have a lovely movement and the small crystal adds a touch of sparkle.